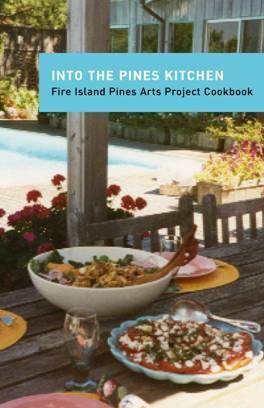 FIRE ISLAND PINES, NEW YORK-Fire Island Pines Arts Project (FIPAP ), a non profit organization promoting the arts in this gay summer community, just released its first-ever cookbook, Into the Pines Kitchen, filled with recipes from Pines residents gay, straight, young, and old. Tony LaRocco, Chairman of the FIPAP Cookbook Committee, remarked, "Given the history and importance of the Pines, it seems vital to record our traditions, including those found in our kitchens. Into the Pines Kitchen is a snapshot of our community. This cookbook offers delicious recipes unique to the Pines way of life." The cookbook contains 200 recipes from over 100 contributors, including Pines notables Scott Bromley, Gilbert Parker, and Hal Rubinstein. As a nod to bygone days, the book features a posthumous contribution from John Whyte, one of the Pines' founders. Into the Pines Kitchen includes original color photography of the island from Pines artists William Karam, Mark Lonsbury, and Barbara Sahlman, along with full color collages of FIPAP memorabilia. 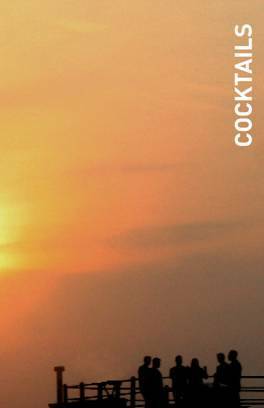 The 150-page cookbook is available for $20 at www. fipap.org and in the Pines harbor. Proceeds benefit FIPAP programs and its continued support of Whyte Hall in Fire Island Pines' new Community Center.